When I was a teenager, I loved Heart. That summer between 7th and 8th grade the Bad Animals came out, and I played that cassette over and over and over again. I sang with Ann Wilson into my hairbrush into the oval shaped full length mirror that was screwed in to the back of my bedroom door. God, I loved that album. After listening to this book on audio book I binged listened to the Bad Animals album on Spotify. Ann Wilson was right, that album was all about hair spray and cocaine. 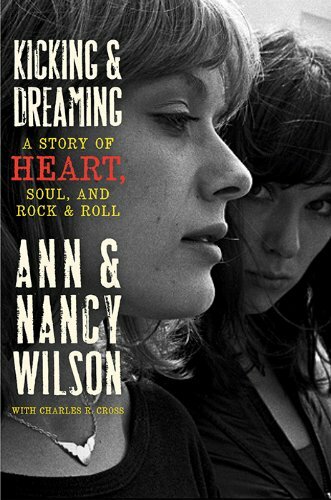 The audio book was narrated by both Ann and Nancy Wilson, and the love they have for each other is so evident as they recount the decades they worked together side by side on stages all over the world. It’s a rock expose told with a great deal of kindness and respect for their bandmates. This was another one I listened to on audio book. And listening to this on audio was an amazing experience. The story is told from two perspectives, by 10 year old Joan, and 30 something year old Gavin. 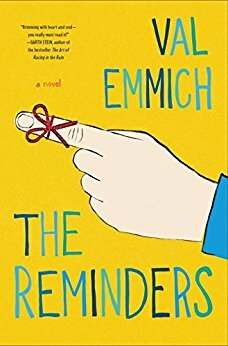 Joan has a condition that involves a hyper accurate memory of every single thing that’s ever happened in her life, but she’s obsessed with the idea that the people in her life could possibly forget her someday. So she decides to enter a song writing contest, so everyone will know her name. Gavin just lost his life partner, Sydney, and is grieving and hiding out with Joan’s family. Joan convinces him to co-write her song in exchange for her very vivid memories of Sydney. The two strike up an unlikely partnership, in which Gavin learns truths about Sydney he must then deal with. What was great about listening to this on audio was that there were 2 narrators of the story. I also got to hear the song that Joan and Gavin wrote—which is not something I would have gotten had I read the book. Wow. So. Um. Eugenics in the 1960s. This is a multiperspective story about Jane, a young social worker in rural North Carolina. She is tasked with working with a teen, Ivy, who is caring for her whole poverty stricken family. Jane learns that Ivy’s sister was forced into a state mandated sterilization, and is being encouraged to file for the same for Ivy. The story takes on a time when state mandated sterilization was a thing and usually happened to young women living in poverty. Intelligence tests and health assessment were exaggerated to promote this practice. 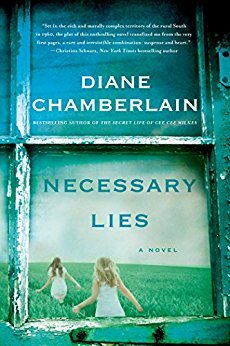 Jane learns the truth about the sterilization program and is faced with the dilemma of getting Ivy sterilized and keeping her job, or standing up for what she believes is right.